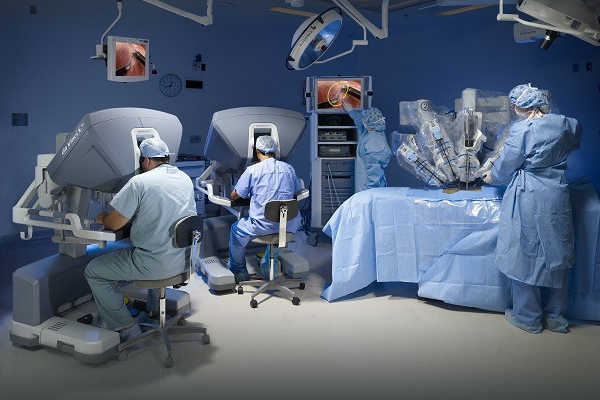 More and more government-run hospitals and cancer institutes are adopting robotic surgery. This was informed at the 10th bi-annual Robotic Surgeons Council meet organised by Vattikuti Foundation in Mussoorie, recently. Speaking at the conference, Dr Ravi Kant, Director and CEO, All India Institute of Medical Sciences (AIIMS), Rishikesh shared how his institute plans to train over 100 surgeons in robotic surgery over the next few years. “Robotic surgery scores over both traditional and laparoscopic surgery because of the precision it brings to complex surgical procedures,” said Kant. Since it started in January 26, 2018, the 1000-bed AIIMS at Rishikesh has already conducted nearly 50 robotic surgery procedures in gynaecology, urology and general surgery on patients hailing from Uttarakhand. “Robotic surgery leads to better outcomes as it offers 10-fold magnification to the operating surgeons and neutralises hand movement of surgeons, commonly referred to as tremors,” he informed, added that precision in a surgical procedure adds tremendous value to patients suffering from cancer of various body organs, soft tissue and tumours. In north India alone there are six surgical robots in use in four of the best known government hospitals in the region – AIIMS at New Delhi, Rishikesh and Jodhpur; PGI, Chandigarh and Delhi Cancer Society hospital. Referring to the benefits of robotic surgery, he called upon surgeons to study methods to quantify the value of reduced pain experienced by patients, and the savings achieved due to discharge of a patient from a hospital early. Vattikuti Foundation’s remit is to encourage excellence in robotic surgery by encouraging super specialist surgeons by training themselves as accomplished robotic surgeons. The Foundation offers digital training resources besides conducting webinars on robotic surgery.